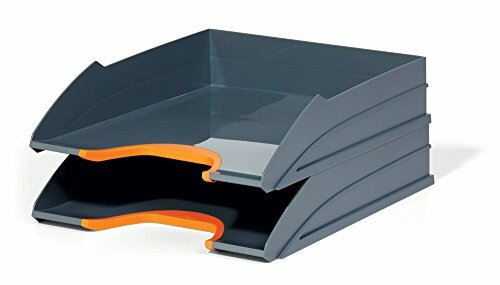 Set of two attractive, innovative Letter trays in Orange made of premium-quality plastics. Can be stacked vertically or staggered. Colored cut outs with easy access provide comfortable orientation. Robust and stable design.